Originally published by US-China Today on November 7, 2018. Written by Emma Cockerell. 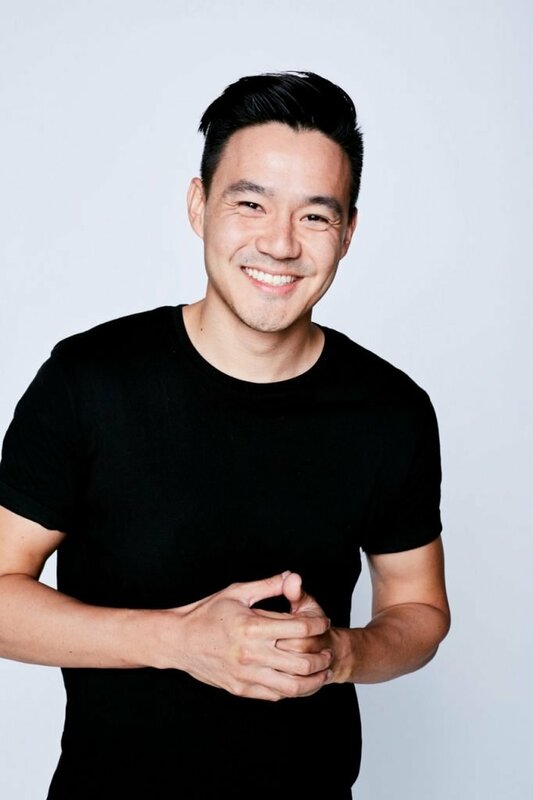 US-China Today spoke with Wong Fu Productions co-Founder Philip Wang to understand the progress achieved — and objectives yet to be overcome — for Asian-American media representation. Since its conception almost fifteen years ago, Wong Fu Productions has featured Asian American actors and artists in skits depicting Asian American perspectives. The Youtube channel was founded by three UCSD graduates, including Philip Wang, and has since garnered over 515 million video views and widespread critical acclaim with content that speaks to hard-hitting issues of diversity and privilege. You recently released a series called ‘Yappie,’ which has received wide praise for the diversity of narratives portrayed. What societal issues did you hope to portray, if any, that represented new territory for your channel? Did straying off the beaten path present challenges? It definitely was a step away from our normal relationship/friendship stories, and we got a little more specific about the Asian American experience… A lot of the time when people do talk about diversity, it’s just between black and white. And that’s fair and important, but at the same time there’s a lot more to diversity and representation than just these two groups. I just wanted to make sure that if the conversation is happening, I knew I put my cards on the table too. Wong Fu has been directly and indirectly fishing for Asian Americans for ten years before mainstream was in on it and before there was money in it. Youtube [back then] wasn’t like all these millionaire Youtubers that [now] exist; we were just doing it because we thought it was important. It was authentic to us. 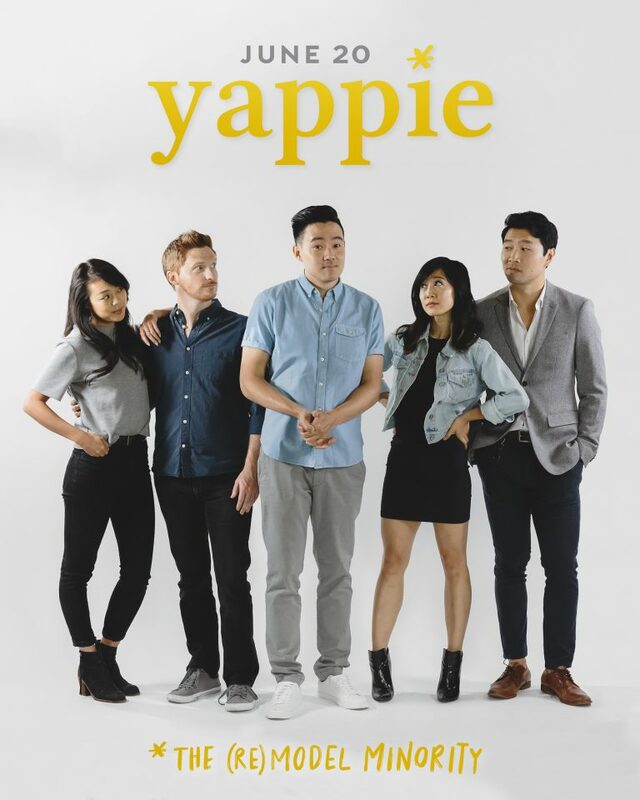 With ‘Yappie,’ it was our first time being a bit more bold and more upfront about what we talk about… There were definitely a lot of times when I was nervous. We were careful to be very fair in terms of addressing certain issues… We know that Asian Americans… [are] extremely nuanced and fragmented, so we definitely wanted to be mindful of that when we approached our topics. So some would say that we played it too safe, but at the same time, for our first project diving into such touchy subjects, we wanted to be as balanced as we could. Thankfully the fans really appreciate what we did… and they’re excited to see more. When creating new content, do you cater to your loyal Asian American fanbase with content you know will be well received, or are you trying to create universal appeal? If the latter, how do you set about creating engaging content for everyone while giving Asian American issues a platform? It’s amazing and we’re very honored to have been around for this long, and it is tough to balance between the things that we know that certain parts of our demographic wants to see and what we want to make as well. I think ‘Yappie’ was definitely geared older, and that was something I wanted to make personally. So the short answer is that I don’t think we ever try to pander and go ‘oh we’ve got to do this because we’ve got to make sure we’re going to get them [views].’ It’s more… even though we’re out of college, we… still want Wong Fu to be that resource for these college students. At the same time, I know there’s these older people that are like, ‘Hey Wong Fu you’ve got to push harder, you got to try to make new things’ and I’m like, ‘Hey I know, I want to do that too,’ and so we’re really balancing a lot of expectations. In a recent conversation with Youtube CEO Susan Wojcicki, you addressed the issue of declining numbers in Asian American content creators — despite Youtube being a haven for AA artists back in the day. Why has caused this decline, and what can Youtube, viewers, and content creators do to combat this decline? I think in general, first- and second-generation [Asian-American] families encouraging their children to go into the arts is very uncommon. So when Asian people were doing Youtube, it was very non-committal — it was kind of accidental. The barrier for entry was very low. Ryan Higa, Kevjumba, all these people kind of just accidentally got famous making some very funny things. There was a very nice moment when Youtube was very open to that kinda discovery and it really enabled a lot of Asians to really just try… but as time went on, and as more and more people found Youtube, in some ways I’ve heard some people say Youtube became gentrified a little bit and became more for the masses. The barrier for entry got higher and higher, and Youtube now is just as hard to enter as any entertainment arm. If you want to go to Hollywood and become an actor, it’s just as hard as starting a Youtube channel. Your channel features many East Asian actors and narratives, but few Southeast Asian ones — something an Indian contestant in ‘Asian Bachelorette’ jokingly alludes to. Do you intend to branch out in terms of the ethnic backgrounds featured? We definitely think about this a lot, and this kind of goes back to what I was saying before about how we have a lot of expectations about how Wong Fu should be, because there just aren’t enough ‘Wong Fu Productions’ groups out there… I remember because when we were first starting out and [there was] a lot of East Asian talent on Youtube, I was like, ‘dude where are the Indians?’ The Indians spend just as much time on the internet and they’re a huge community and no one was around — and now you’ve got Liza Koshy and Lilly Singh. I think the number one most subscribed channel on Youtube now is an Indian company. It’s cool to see that they have found their footing. In terms of Wong Fu Productions, I definitely want to open things up to more creators. So if we get these stories that come to us, I’ll be very much open to it. At the same time, I always tell our fans that… we didn’t see Hollywood making the stuff that we wanted to see, so we did it ourselves… If Wong Fu’s not doing it, nothing’s stopping you guys. You guys can do it too, and maybe we’ll find a way to cross paths or collaborate in the future. It’s definitely not that we don’t want to support [other narratives], it’s just that Wong Fu doesn’t have that many resources. We’re not a massive company, [we’re] just six people or so trying to make one or two things every month. We try to reach out to South Asian creators here and there, but a lot of times I write what’s personal to me, so if we can find creators to bring these stories to us, we’re all ears. Has Youtube’s interactive nature allowed fan feedback to influence choices about the direction of your content and growth? Has there been a viewer’s comment that inspired you to make tangible changes or try something new? That’s a good question actually, because there’s a very timely example of it. Our last short we just released was our first short that featured a lead couple that was from the LGBTQ community, and I would say that is directly affected by our fans and the feedback we’ve gotten either on comments or in person at events. It’s not like we were avoiding this topic before… but I never felt like I was allowed to touch on this topic or that I was equipped to enter that conversation, and I think the longer we do this… the more responsibility I feel. A lot of people are looking to us as a source for inspiration and representation. It used to be that we were one of the ones fighting for representation and now we’re one of the sources — we have to try to show that representation. I wouldn’t say we always are always so knee-jerk reactive to ‘oh shoot, a fan said this we better not say it again.’ We read comments and we’re like, ‘oh cool that’s good to know,’ but sometimes we see something we agree with it and we’ll take it to heart. If you could speak to your fresh-out-of-college self, what would you say? Any advice for aspiring young creators? I honestly remember right before I graduated I was talking to Wes [Wesley Chan, Wong Fu’s co-founder] and I was like ‘man, it would be great if we could just keep making videos and people could just pay us to do it.’ And essentially that happened, and so I always try to remind myself that good things happen and our dreams came true. But at the same time, it’s like ‘oh we’re there and now you want strive for more,’ and so it’s like nothing’s ever enough, which is kind of a scary thing at times. But I would just tell them [students] to enjoy the ride and don’t be so worried about making sense out of everything — just enjoy the process. In terms of advice for aspiring creators, the number one thing I would say is make sure that you’re doing it for the right reason. If you really want to be creative and if you really want to share your work, it has to be something you would do with or without money… If people just chase clout or fame or views, you’re going to suffer… Another thing I would say is really surround yourself with good people. Being a creative person is a very emotionally taxing thing… so you have to have good people around or you or you have to be a good person yourself to attract people to work with you. A lot of it is collaborative as well, so it is really is about finding a good support system, whether it’s friends that are in the industry, whether they’re down to just support you and believe in you, or whether it’s finding people in the industry or community that you vibe with and feel that you can be creatively inspired by.